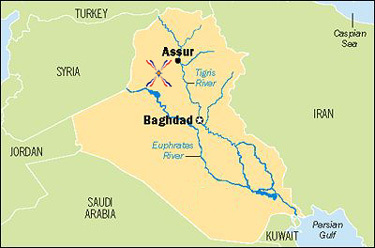 "Assur (one of the capital cities in Assyria) is the most famous and oldest documented trade center," notes John Russell, an archaeologist at the Boston College of Art. Much of Assyria's trade and manufacturing was conducted by powerful families, he says, who often wielded more clout than the kings. Yet much of what is known about Assyrian trade comes from records excavated from sites in what is now Turkey.